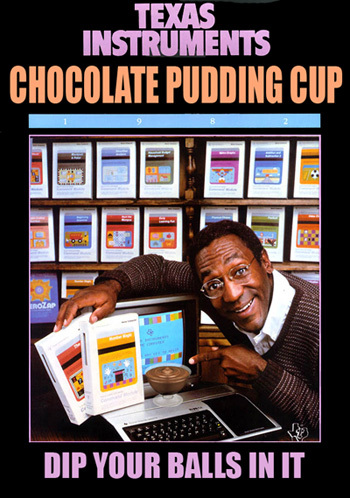 Chocolate Pudding Cup – Dip your balls in it! Jokes about balls arent funny. No, but that computer is funny. it’s a ref to an old mtv sketch show called the state Spac Demon ya n00b, and a good ref too. Im not a 14 year old girl.